Online or electronic resume posting can be an effective strategy to search for job leads if you keep these tips in mind. 1. Print your resume to proofread it effectively. Proofreading on a computer screen is very difficult for most people. You'd be amazed at the number of typos that jump out at you when you simply review a printed version of your resume. People are often tempted to skip this step when they post a resume online, but it is crucial to ensure your resume is free of errors. 2. Ensure your electronic resume is full of keywords. Employers use keywords to search the resumes available at a resume posting service. If your resume does not contain the keywords that employers search for, it will not be found, even if you have the skills employers are seeking. Review job ads and note the words and phrases employers commonly use to express the skills and qualifications they require, then be sure to include those words and phrases in your own resume. 3. Post your resume to a select few job boards. Consider using job boards that are well known and well used by employers. Also look at smaller, local or industry specific job boards that will be highly targeted to the type of work you are seeking. I'm not a fan of using a resume posting service to mass post your resume on hundreds of job boards. First of all, you lose control over who has your resume, and you won't be able to review the privacy policies of all of the job boards. Second, job search should never become a pure numbers game. Effective job searches involve seeking out and applying to several well-targeted job vacancies, and using a variety of techniques to find those vacancies. Successful job searches do not involve sending out thousands of untargeted, unfocused resumes to random employers. This approach rarely results in success. Is Electronic Resume Posting Worthwhile? Yes, absolutely. It should not be your only method for finding job leads, but it can be a useful part of an effective job search. I could tell you plenty of stories about clients who have found good jobs as a result of posting resumes using popular resume posting sites. One former client of mine, Susan (not her real name - identifying details, such as names, are changed or omitted to protect my clients' privacy), was conducting a very effective job search. She was networking with her business contacts, researching specific employers of interest, applying to advertised jobs, and she had posted her resume on the Monster Resume site. She submitted resumes to a variety of employers, but her ideal, dream job involved working at the local university. Susan checked the job postings on the local university's website regularly, but she hadn't found any openings posted on that site that were a good fit for her skills. One morning she got a call out of the blue from a department manager at the local university asking her to come in for a job interview. Susan couldn't understand how this person had received a copy of her resume. She hadn't actually applied to any jobs at the university because there were no jobs advertised on the university's website that fit her skill set. During the interview, Susan discovered that the department manager at the university had found Susan's resume on an online resume database and felt she was an ideal fit for a job that she needed to fill. Susan did a fantastic job at the interview and was offered the position. Susan was thrilled when she told me the story about how she found her dream job by posting her resume on a resume posting site. She was going to work in an enriching academic setting that was a great fit for her values and work preferences, and her daughter, who was planning to attend the university the following year, would enjoy free university tuition - one of the many perks of Susan's new job. The job was never advertised, and Susan would not have found it if she had not posted her resume online. 4. Review the privacy policies of job boards. Does the job board sell your information to third parties? Who has access to the resumes on the job boards? You'll discover this information within the privacy policies of the resume posting site. Yes, privacy policies can be long and tedious to read, but if you have any concerns regarding privacy, this is the place to start to find the information you need. Ensure you are comfortable with the site's policies. If you are not, find another place to post your resume online, there are plenty of sites out there to choose from. 5. Set up a separate email address that you use specifically for job searching. A separate email address that is only used for job search purposes will keep you organized. You'll know that everything going to that address is related to your job search. It will also keep your regular email account free from spam if you are concerned about receiving unwanted emails as a result of posting your resume online. Be sure to choose an email address that is simple and sounds professional. Some variation of your name is always safe. Don't get fancy here. Many people have fun and funny email addresses that they use for personal emails. That's fine when you're emailing your friends, but it can make the wrong impression on a potential employer. 6. Update your online resume so it looks fresh in the eyes of employers. Employers often look at the date that an online resume was last updated and assume the person is no longer job searching if it has been a while since the resume has been updated. Every three to four weeks, make a minor change to your online resume and re-save it so it appears current to employers. Some online resume databases don't even require that you make a change, you just have to log into your account and re-save your resume to make the date current. 7. 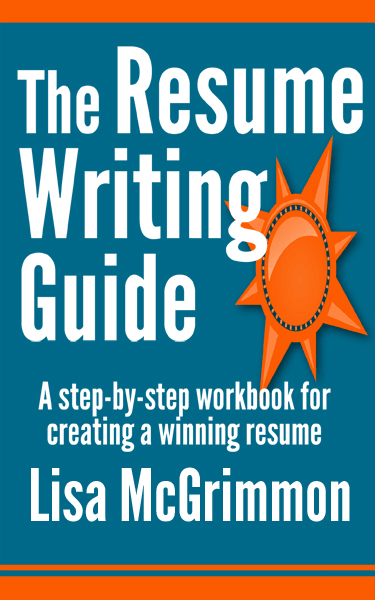 Follow guidelines for good resume writing. Rules for good resume writing apply to online resume posting. You'll find plenty of resume ideas and help here. 8. Format your online resume correctly. Most job boards require you to post your resume using plain text format. That means you won't be able to use bullets, underlines and other tools to make your resume more attractive and easy to read. Review the text resume format for ideas about setting up an attractive text resume.